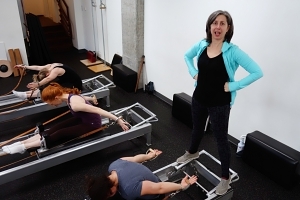 Atlas Pilates Teacher Training Program will make reasonable accommodations for students with disabilities in compliance with Section 504 of the Rehabilitation Act of 1973 and the Americans with Disabilities Act of 1990. The purpose of accommodations is to provide equal access to educational opportunities to otherwise qualified students with disabilities. It is not intended that standards be lowered or essential elements of programs or courses be changed, and accommodations are not intended to ensure a satisfactory or desired grade or evaluation. In determining reasonable accommodations, consideration will be given to the student’s documented needs, essential elements of the program, and school resources. Academic accommodations may include modifications in the classroom, in assignments, and in the way tests are administered. Non-academic accommodations may include modifications and assistance relating to physical accommodations and mobility and access to the building. Accommodations are granted in response to student requests on the basis of determined need and documentation of disability. In the event that disagreements arise between students and teachers or administrators over issues of accommodation, a due process procedure has been developed to settle such disagreements. Have an identified disability as defined by the Section 504 of the Rehabilitation Act of 1973 and the Americans with Disabilities Act (ADA). Submit a written request for accommodations in a timely manner to the Program Director. Students requesting accommodations for disability must submit a Written Request for accommodations, both academic and non-academic, to the Program Director. Students should submit their requests well in advance of the Academic Year they plan to attend to allow adequate time for review of the Request, development of appropriate plans, and implementation of arrangements. Documentation of Disability should accompany the Request. A decision about requests cannot be made until adequate documentation is received. Documentation must come from a professional qualified to evaluate disabilities in the areas related to the student’s request. NOTE: This is not a comprehensive statement of documentation requirements. Specific requirements apply to specific disabilities. Students should contact Atlas Pilates for specific requirements for their condition. Documentation must be provided by a professional qualified to evaluate disabilities in the areas related to the student’s request. Vague and/or short statements of diagnosis (e.g., by a physician for ADHD) are not sufficient. Information provided by the student, parent, or others might be helpful supplementary information, but it does not constitute documentation of disability. Documentation must be on the professional’s official letterhead with date and signature. Documentation must be recent enough to establish that the condition is still present and to reflect current impairment and needs. This would typically be no longer than 3 years old for learning disabilities and ADHD, more recent for changeable psychiatric or medical conditions (e.g., migraine headaches), longer for permanent disabilities (e.g., blindness). Current diagnosis. A clear statement of diagnosis must be included. A clinical diagnosis in itself is not evidence of disability, however. History of illness/condition (including how/when condition was first diagnosed and by whom, course of illness/condition over time). Current symptoms (including specific nature of symptoms, frequency, severity). Need for accommodations at the present time (include specific recommendations if possible). It is the student’s responsibility to obtain and furnish the appropriate documentation. Atlas Pilates Program Director will assess presented documentation and make a decision. Additional documentation will be accepted and a reevaluation will occur as documentation is received. Students should make an appointment to meet with the Program Director to discuss their specific requests and needs for accommodation. This should be done after the student has submitted the Request and documentation. After the written Request (with documentation) has been received and evaluated, a decision will be made within a reasonable period of time. This time period will vary depending on the extent of the requested accommodations and the time of year. In any case, students should expect that a minimum of 14 working days will be needed to evaluate requests. After the determination of eligibility (i.e., documentation shows the student has a disability), reasonable accommodations for the disability will be determined. Essential components of courses or programs will not be changed or eliminated, but modifications in the way the student can meet these essential requirements will be made when possible. Essential components of courses and programs are listed in their respective descriptions in the course catalog. The student will be responsible to meet with all involved parties to discuss his/her needs for accommodations and clarify how these will be implemented. Students whose needs for accommodations change after the initial requests for accommodations have been implemented should submit additional information. For new or different accommodations for the same disability (already verified with documentation), they should submit an Updated Request for Accommodations. Students are responsible to inform the Program Director promptly if they encounter problems with the implementation of their accommodations. Atlas Pilates cannot adjust grades or course requirements “after the fact” in a case where a student reports he/she suffered academically because he/she did not receive an accommodation that was approved and did not report the problem in a timely manner that allowed correction of the problem. Accommodations cannot be approved retroactively. For example, a student who reports a learning disability after taking an exam, and has not previously requested and been approved for accommodations, would not be entitled to retake the exam with special accommodations. Similarly, a student cannot be excused for absences due to a disabling medical condition reported after the fact. Students are urged to make their requests as early as possible to allow time for review of the request and planning. Disclosure of a disability is voluntary. Students are not required to disclose or request accommodations for a disability. They are not eligible for any protection under the law if they fail to disclose disability and request accommodations, however. Disability-related material at Atlas Pilates is considered covered by the Family Educational Rights & Privacy Act. Disability information will be not be disclosed or released except as required or permitted by law, and/or as otherwise requested by the student. In the event of a disagreement between student and faculty or other agent of the school over an issue of disability accommodation, the student shall discuss the disagreement with the Program Director other involved agent of the school and try to resolve the disagreement. 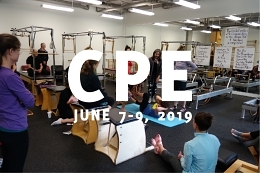 If the student and Program Director fail to resolve the disagreement, then the Managing Members of Atlas Pilates LLC will examine claims submitted in writing by the student and within 10 days provide a written final decision for accommodations.